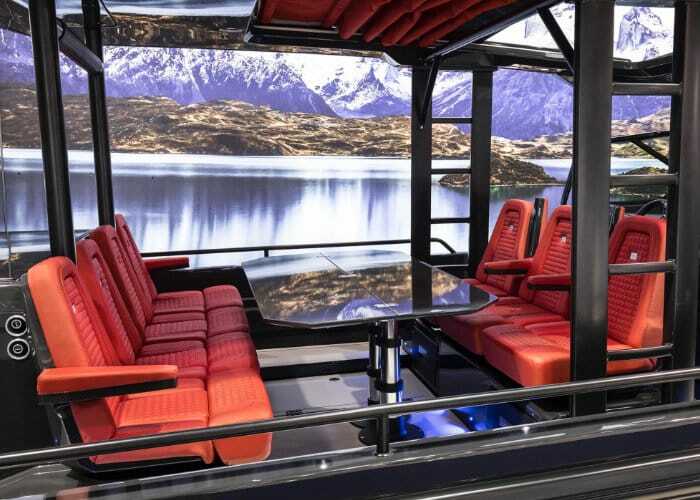 If you are in the market for a new motorboat cruiser you might be interested in the Brabus Shadow 800 boat by Axopar which has been created thanks to a collaboration between finish boat design from Axopar Boats Oy and German engineering supplied by Brabus. 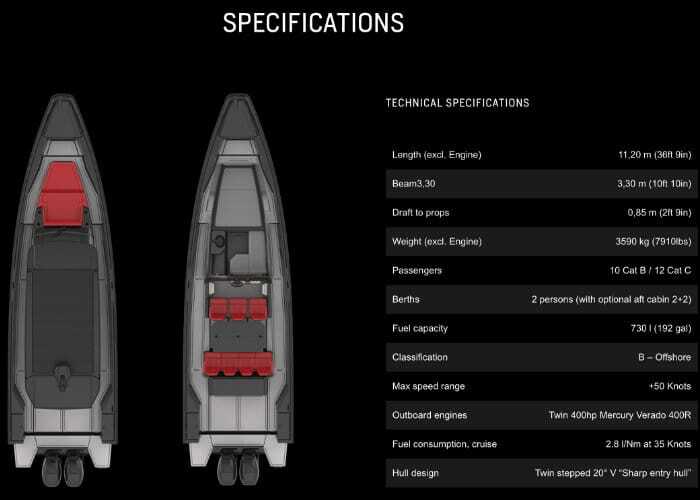 The handmade motorboat will be limited to just 20 and is now available to preorder priced from $495,000. 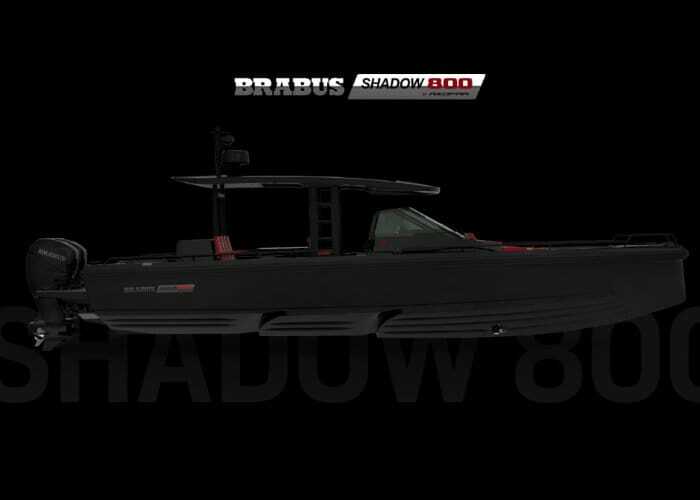 The Brabus Shadow 800 motorboat is based on the 37 Sun Top from Helsinki-based Axopar and measures 11.2 m in length and powered by twin 400 hp Mercury Verado 400R outboards, offering a top speed of over 50 kn or 57 mph for you landlubbers. 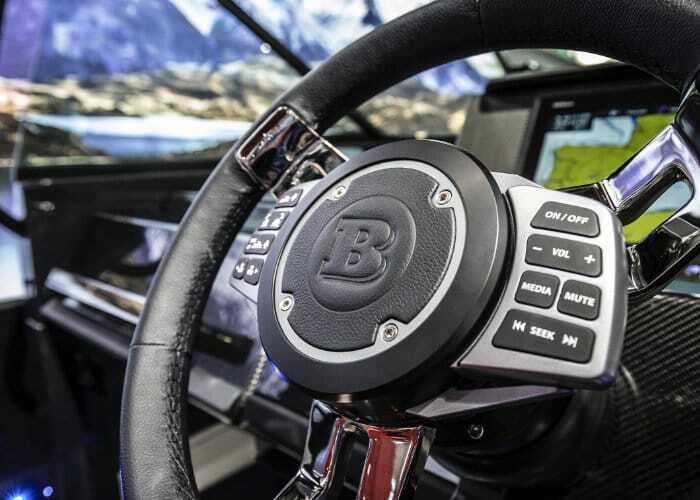 The high specification motorboat is finished with carbon fiber accents, fine leather and Alcantara in the cabin providing it with the same feel as the high performance Brabus’ cars. The One of Twenty is designed to celebrate the cooperation between the two companies, with future models and an expanded range to follow.